Authentically detailed Shemagh, a wrap-around head covering with fringes that can be found in every desert area of the world, essential for protecting eyes, nose, mouth and neck. Constructed from 100% cotton, this wrap retains heat in cold climates and wicks away sweat in hot climates. 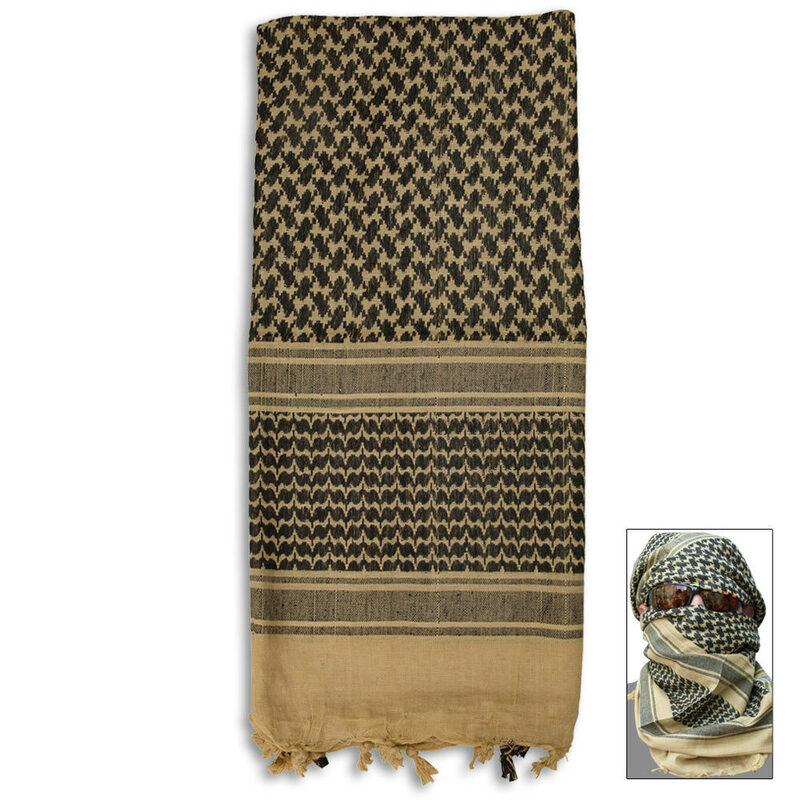 Used by coalition forces for face concealment in Afghanistan and Iraq. 42 in. x 42 in. Size is about right, color is spot on, but the weight of the fabric is not what I expected...it's as light as a hankie...don't know how it is suppose to keep your head warm...use it only during the summer?? This one, meaning color, isn't bad, it's slightly larger then my red and black one, I don't know how or why but it is. The one side didn't come tied for me, no problem, I can fix that. I bought this a while ago and it still holds strong! Keeps me warm on cold days and keeps me cool on 100+ days. My tactical scarf survived the Grand Canyon and more without a hole!